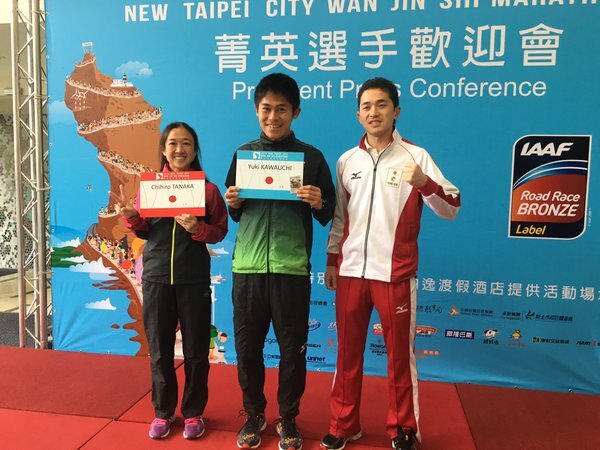 Chihiro Tanaka, Yuki Kawauchi and Koichiro Yamanaka at the New Taipei City Wanjinshi Marathon press conference with support from JRN. Livestreaming of the race will be available here starting at 6:00 a.m. local time on Sunday, March 20. Click here for live splits.